We regret to announce that this event has been postponed. PES fans based in and around London, we have a special opportunity for you. Villain bar, based in Shoreditch, are hosting a PES 2012 tournament in our nation's capital at the end of the month. Want the satisfaction of seeing your beaten opponent ‘as sick as a parrot’? Then you need to head down to Villain for our first ever Shoreditch Cup. 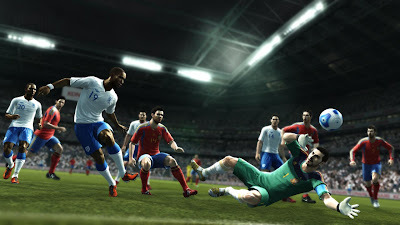 When it comes to footy games, you’re either Team Pro Evo, or Team Fifa – with the rivalry between the two camps more intense than i-Phone V Blackberry, this is a night to prove why PES is best. Continuing the night in with a night out combination, Ultimate Villain announces the first Shoreditch Cup on 30th November 2011. If you consider yourself a PES PRO, this is your night to prove it. Play against, peers, rivals and fellow ‘PES-heads’ in this night dedicated to people who love the beautiful game; it could get ugly. Celebrate victory or console defeat with great drinks offers in this unique setting. With a bar made out of an aircraft fuselage and a car emerging from the ceiling, there’s plenty of room to warm up before an attempt at gaming glory on one of at least 6 screens available for gaming in one of the cosy dug outs. Just watch out for the ref! Are you the best PES player in Shoreditch? Come and take on your rivals LIVE at Villain. If you have any queries, please post them on the Facebook event page - or forward them to the email provided.